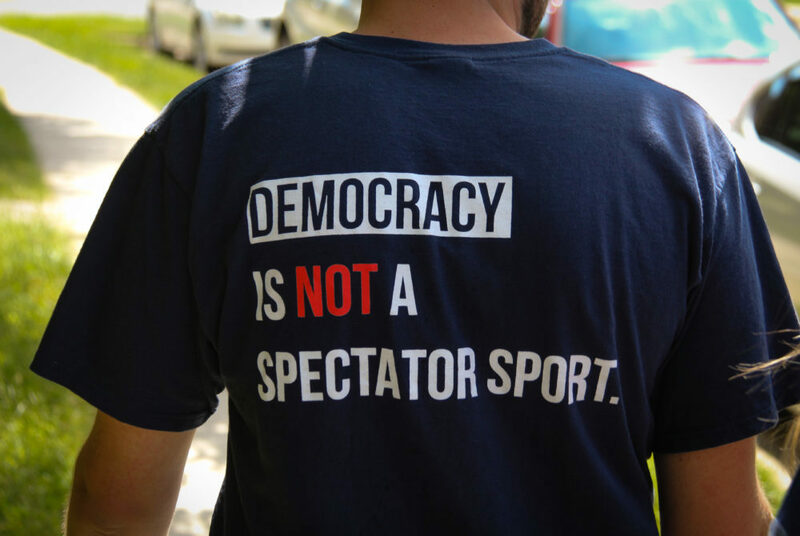 The College Democrats head out for their first day of campaigning. This weekend members of the College Democrats went to Woodbridge, Va. to campaign for Hala Ayala, a Democrat running for the House of Delegates to represent the 51st District. 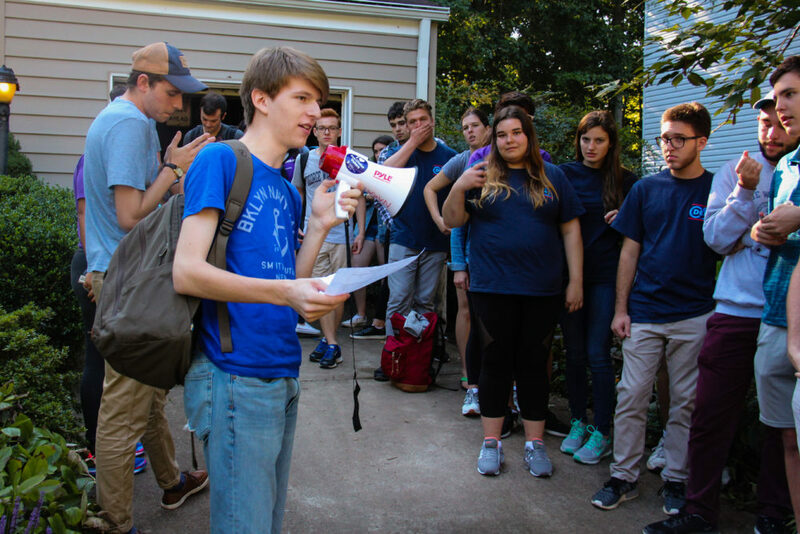 Graham Steinberg, the campaign director for the College Democrats, informs volunteers of the day’s planned canvasing operation. 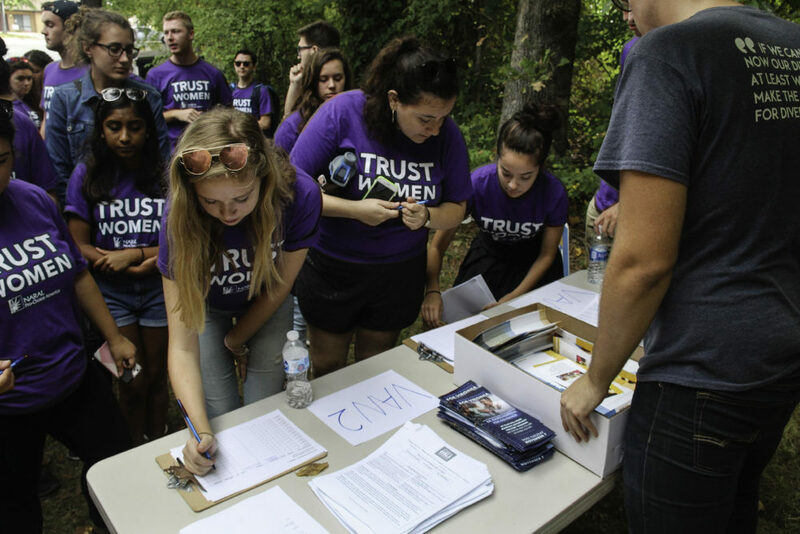 Maggie Thielens, a member of College Democrats, fills out her information to sign up for her portion of the day’s canvasing location. 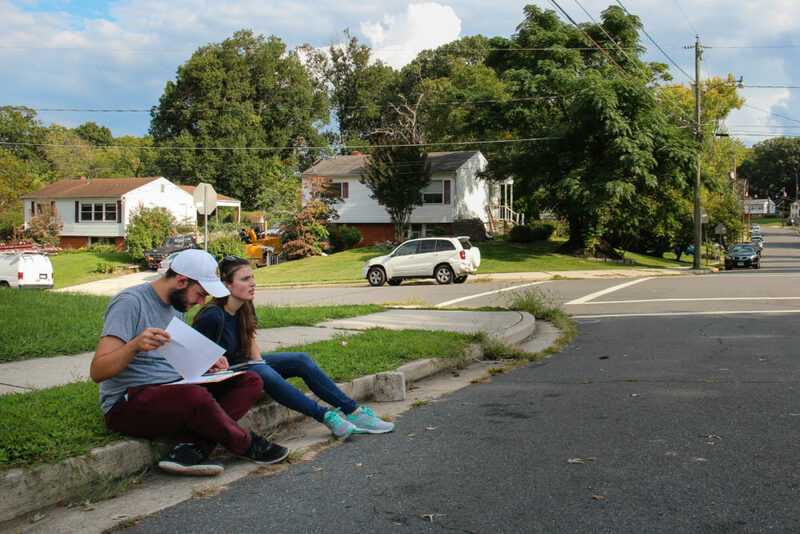 Ricardo Azze and Grace Milijasevic, members of the College Democrats, stop to plan their canvasing route in a neighborhood of Woodbridge, Va. Each group of two volunteers planned on going to more than 90 houses each day. 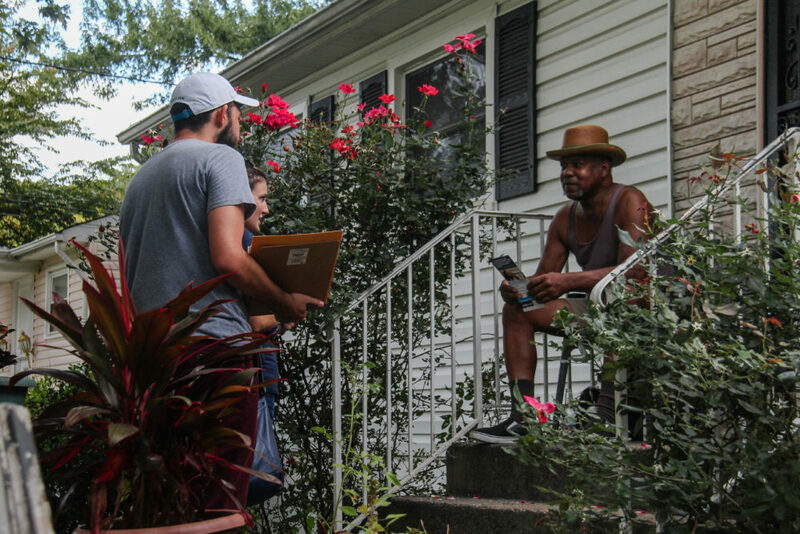 Ricardo Azze and Grace Milijasevic meet with a resident of Woodbridge, Va. while canvasing for the Democratic candidate in the race to represent the 51st District in Virginia’s House of Delegates. 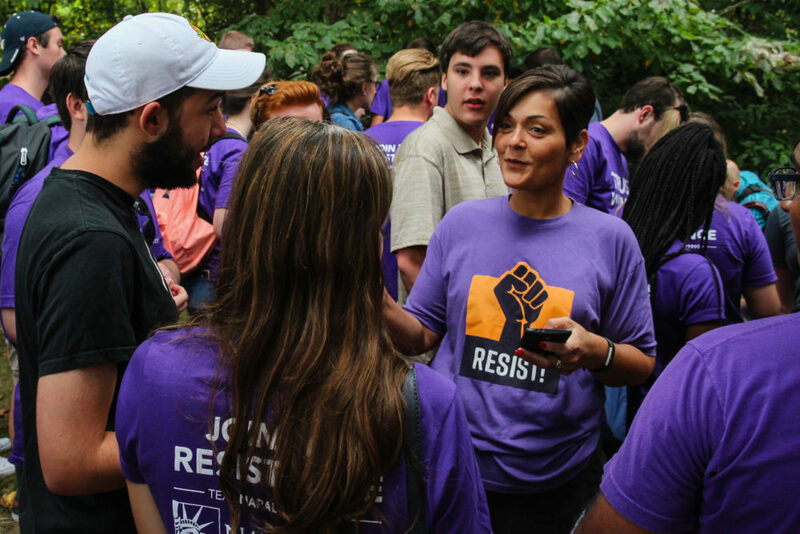 At the end of the second day, Hala Ayala, the Democratic House of Delegates candidate for whom the College Democrats campaigned, met with the volunteers and thanked them for their service.